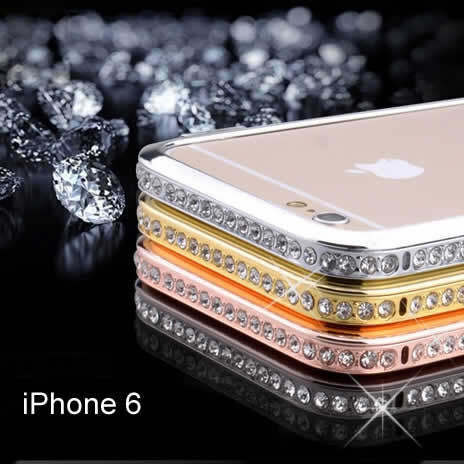 Crystal Bumper Style Classy Case for iPhone 6. All that glitter and sparkle can now be yours to keep with beautiful style and glamour for your newest found beauty! The Titanium forged delicately hand set Austrian Crystals on the case will never lose its sparkle. Lightweight and trendy, a perfect case for a perfect phone. 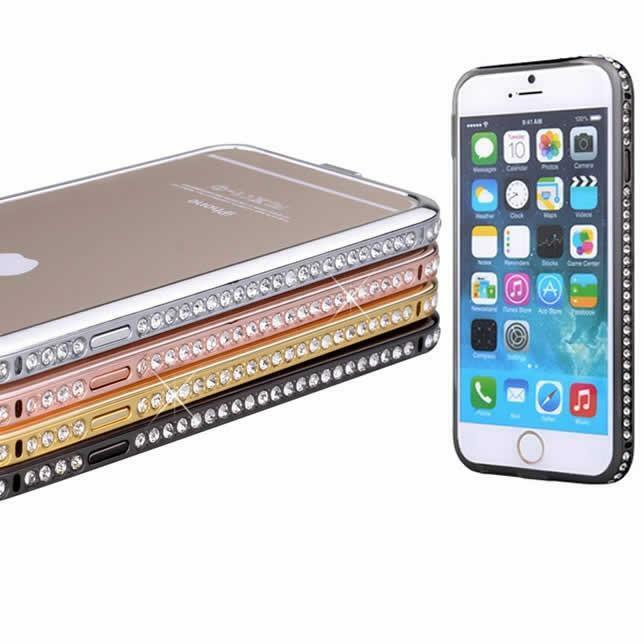 DETAILS: -Will fit iPhone 6, 4.7 inches in size. 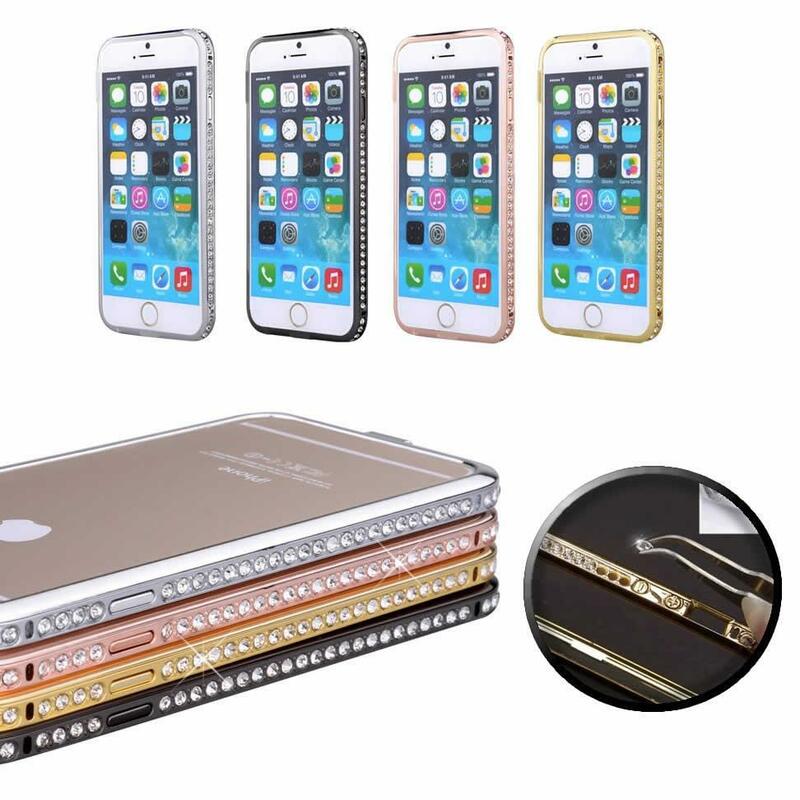 -Comes in 4 colors: SILVER GREY, GOLDEN, CHAMPAGNE GOLD AND BLACK METALLIC. -All hand set in clear Australian Crystal stones.